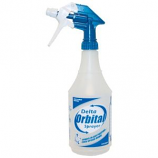 Treat dispensing fun with a dental cleaning advantage. Treat-dispensing features keep dogs contentedly busy and out of trouble while the Denta-Ridges effectively clean teeth and message gums. 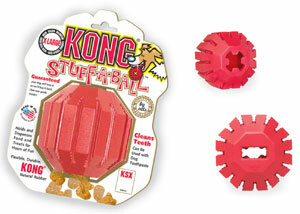 Kong Stuff N treats and pastes work great to initiate play sessions. Kong - Stuff a Ball - Small product is categorised under Wholesale Kong Company, WA products, Wholesale Dog Products, Wholesale Toys, Wholesale Balls.